Jürgen Klopp declared himself pleased with Liverpool’s performance while discussing other topics including Mitrovic's disallowed goal and the upcoming international break during his post-match press conference. 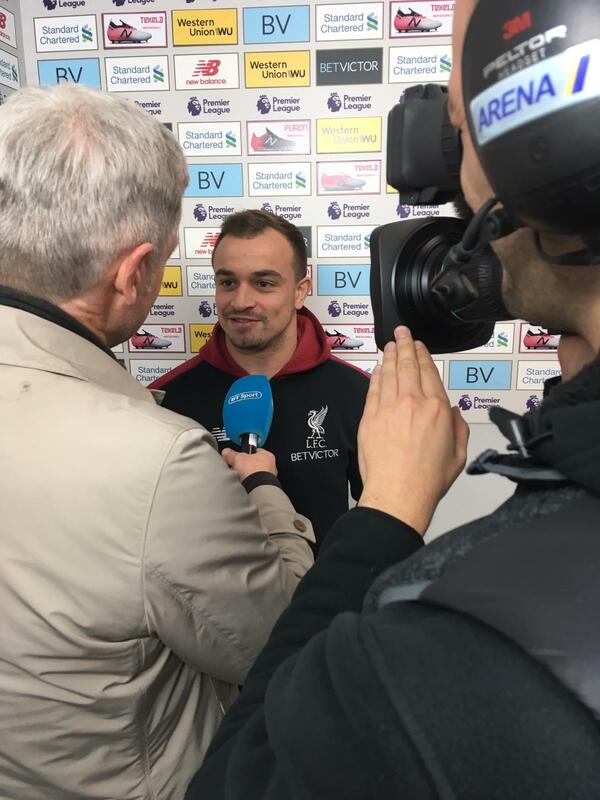 Xherdan Shaqiri spoke to Liverpoolfc.com shortly after the full-time whistle and the No.23 explained why the team trumps goals or assists in his objectives. "I want to help the team. When it's with a goal or assist, it's always good for the team," he said. "I came in the summer to help this team go forward and make the process better. I'm very happy with my performances, I just have to keep going like this and train hard every day. I hope we keep going until the end like this." 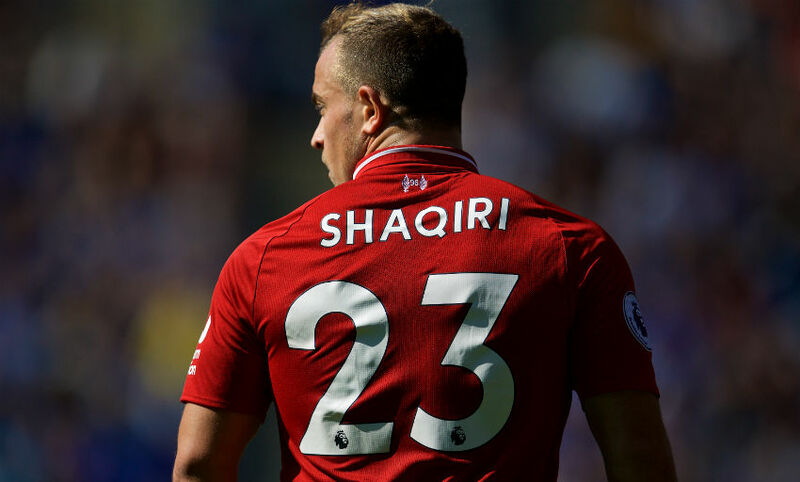 Click here to read more from Shaqiri. That's it from the boss. We'll bring you a full summary of his press conference shortly. 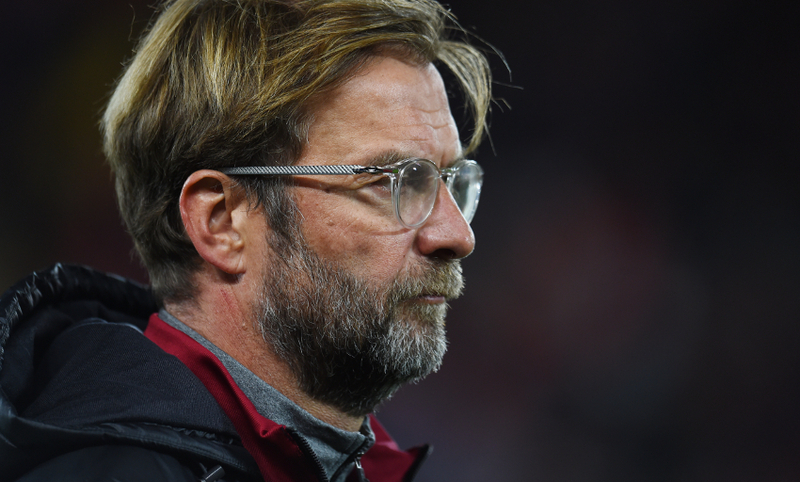 Klopp: "You have to finish off your chances and we didn't do that often enough to have a clear result... but I think we were focused and concentrated in the game." Klopp: "We accelerated in the right moments. We had big chances - I'm not sure how many, [but] we scored twice. I'm completely happy, apart from scoring more goals it was a really good performance. We had to work hard and we won it." Jürgen Klopp has arrived for his post-match press conference. Updates to follow. 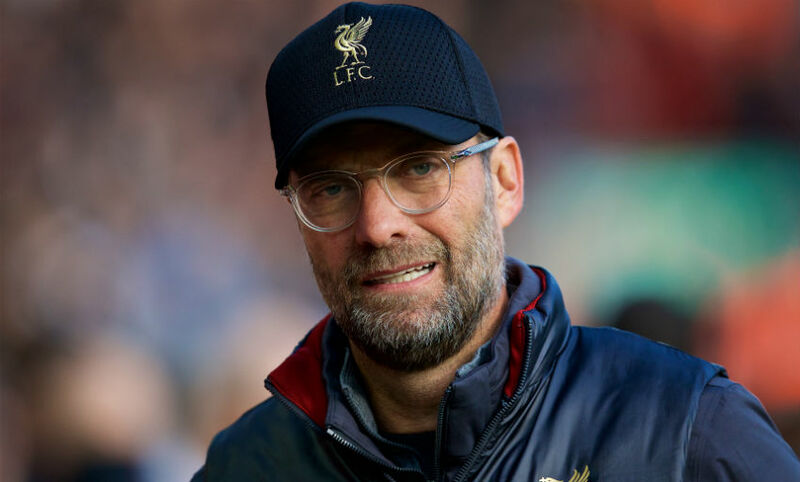 The Reds have won all nine home Premier League games under Jürgen Klopp against newly-promoted teams, scoring 27 goals and conceding just three. Klopp's team have kept 10 clean sheets in 14 Premier League games at Anfield in 2018; as many as they’d kept in the last calendar year (10 clean sheets in 21 home league games). 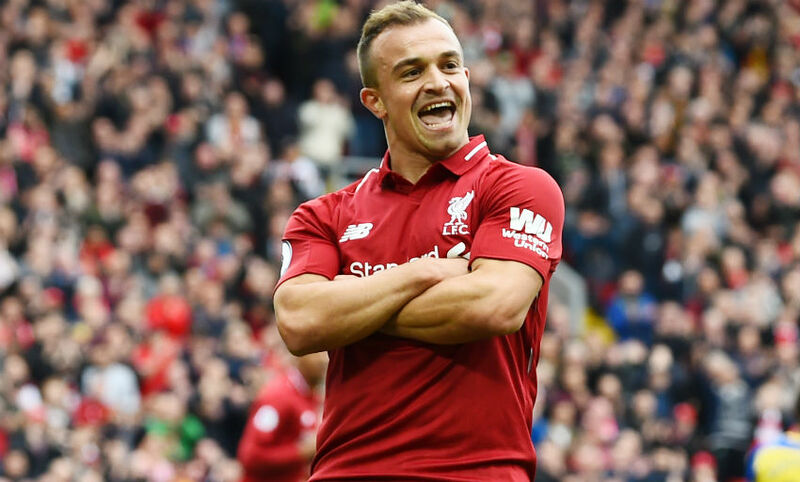 Xherdan Shaqiri has either scored or assisted in five of his last six games for Liverpool in all competitions (two goals, three assists). 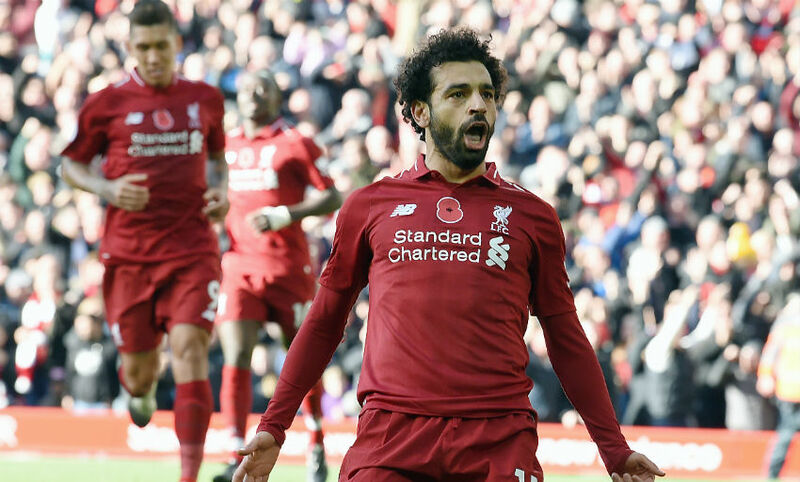 Mohamed Salah has scored against 19 of the 21 Premier League opponents he's faced with Liverpool, failing only against Manchester United and Swansea City. 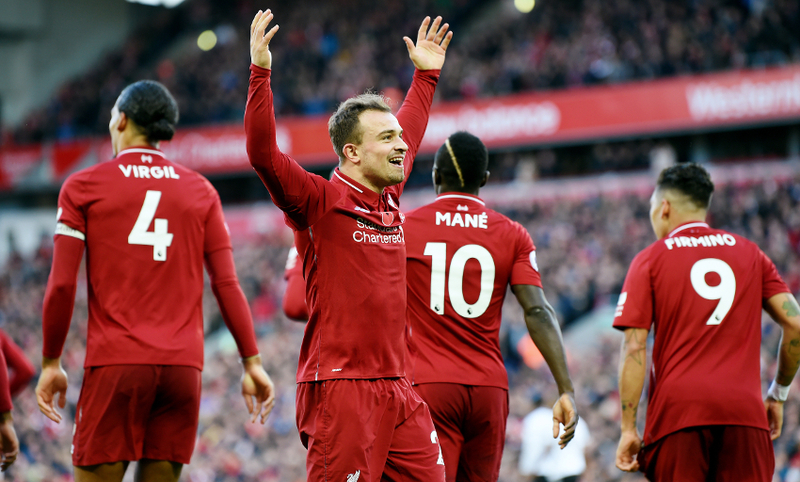 A goal in each half from Mohamed Salah and Xherdan Shaqiri gives Liverpool the three points against Fulham and moves them back to the top of the Premier League table ahead of Manchester City and Chelsea's games later on Sunday. 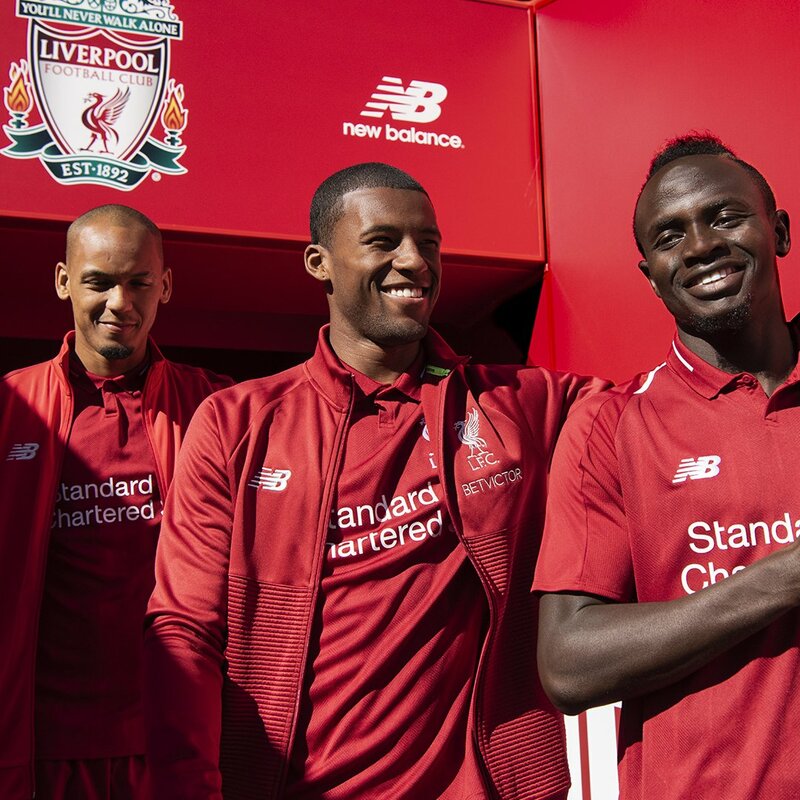 Liverpool change: Fabinho off, Keita on. Salah steps inside Chambers but his seemingly goal-bound curler hits the head of Mawson. 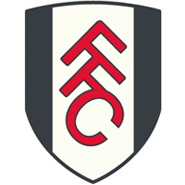 Fulham change: Anguissa off, Johansen on. 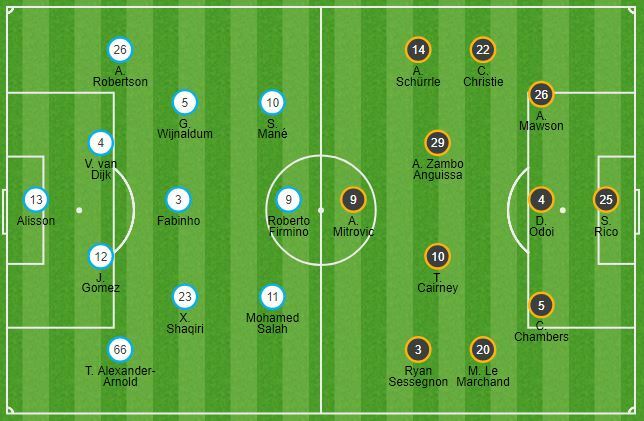 Liverpool change: Shaqiri off, Milner on. Fulham change: Schurrle off, Vietto on. Joe Gomez sees yellow for a tussle with Mitrovic. Liverpool change: Wijnaldum off, Henderson on. 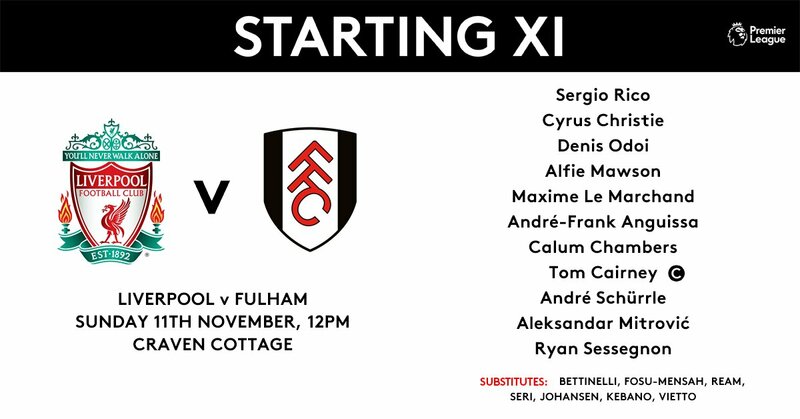 Fulham change: Cairney off, Michael-Seri on. Robertson whacks one towards goal from Firmino's lay-off, but it's saved by Rico. Calum Chambers is shown yellow for a late challenge on Salah. Liverpool further their advantage thanks to a lovely finish from Shaqiri. Van Dijk keeps an over-hit corner alive and the ball eventually ends up at the feet of Robertson, who swings a deep cross back into the box towards the back post first time. Shaqiri arrives unmarked and side-foots a full volley into the bottom corner. Mane cracks one towards goal from the edge of the box, which Rico needs to turn over the bar. Liverpool get us back under way at Anfield. ...the time between Mitrovic's header being ruled out and Salah opening the scoring at the other end. Mohamed Salah has now scored against 19 of the 21 different sides he has faced as a Liverpool player in the Premier League (only v Manchester United and Swansea has he failed to do so). Mohamed Salah's 41st-minute strike is the difference at the break after a half in which both teams had their chances at Anfield. 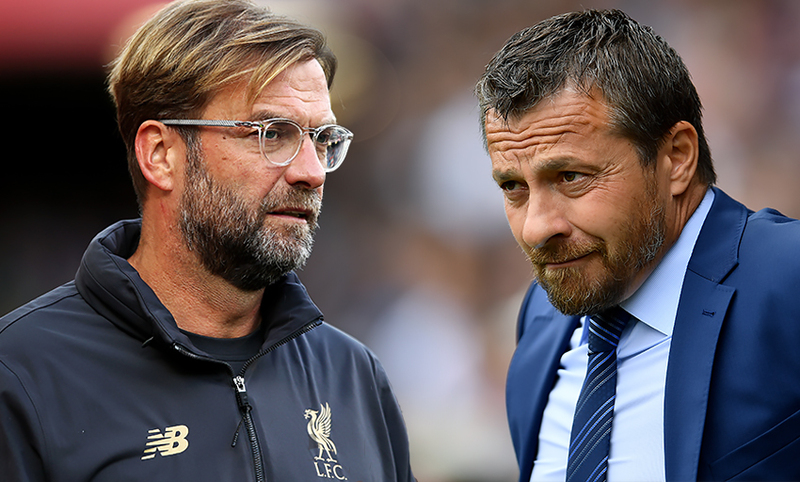 Fulham have certainly given Liverpool something to think about defensively this afternoon - and Alisson is again called into action to deny Mitrovic's low shot. Liverpool are ahead and the identity of the scorer will come as no surprise. Fulham have the ball in the back of the net as Mitrovic heads in Cairney's cross at a short-corner routine. However, his celebrations are cut short by the raised flag of the referee's assistant for offside - and the Reds break at speed with a quickly-taken free-kick. Alexander-Arnold slides a pass down the right into the path of Salah's run. The Egyptian King glides into the box with a stream of white shirts trying to catch him before slotting low beyond Rico to break the deadlock. Mane reaches Robertson's pass into the channel at the touchline and pulls it back into the area. It deflects into Shaqiri's path, who steers wide. Sessegnon wriggles into space but shoots well over Alisson's crossbar. Another chance for the visitors as Alisson parries Schurrle's shot from the edge of the box and Van Dijk needs to make a vital interception to stop Mitrovic tapping in the rebound. Mane tries to bend one into the top corner from the edge of the area, but it's too high. A let-off for Liverpool as Mitrovic's flick-on from a goal kick finds Sessegnon, who goes past Gomez and slides wide of the post. It's the first we've seen of Fulham in an attacking sense this afternoon. 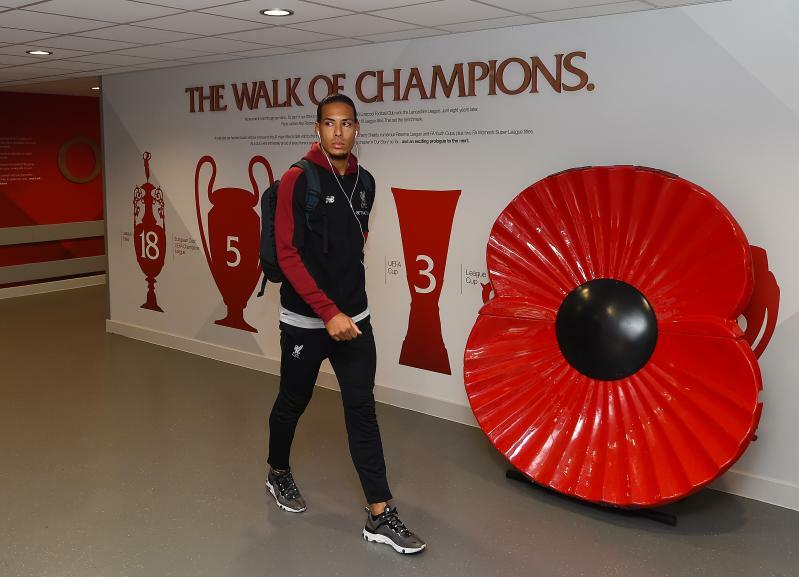 Fabinho switches play across field towards Alexander-Arnold's run into the area. The full-back reaches it, but can only loop a header onto the roof of the net. Firmino and Salah combine to open up Fulham inside the area, with the latter having a close-range strike foiled by Sergio Rico. Shaqiri lines one up from 20 yards and arrows wide of the near post. Shaqiri releases Alexander-Arnold into space on the right of the area, but he drills a cross over the bar. Alexander-Arnold's low delivery from the right evades Salah before Firmino can't get it under control. It rolls for Mane, who sweeps wide of the far post. Fulham start the game at Anfield. 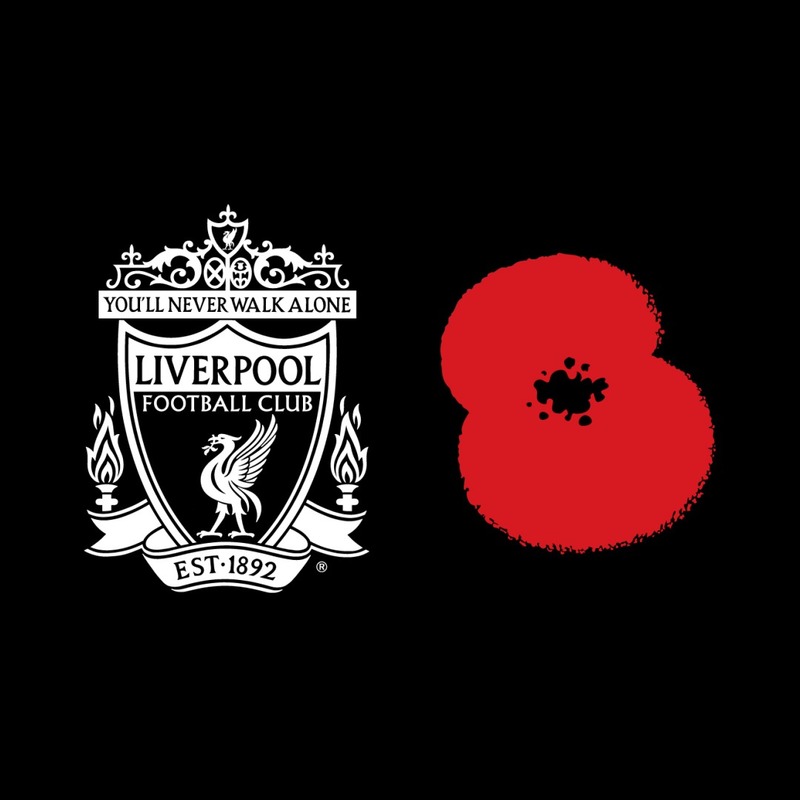 A minute's silence is observed at Anfield on Remembrance Sunday. 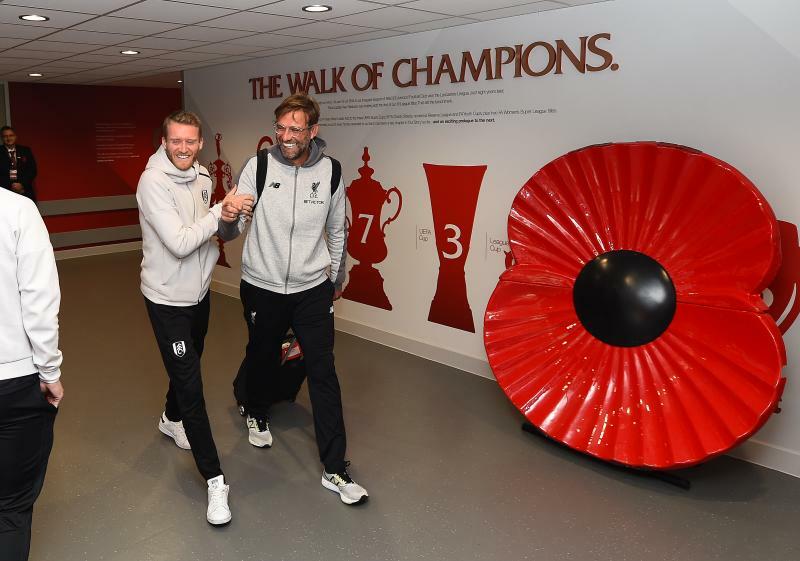 A warm greeting from Fulham's Andre Schurrle for Jürgen Klopp and Xherdan Shaqiri at Anfield. 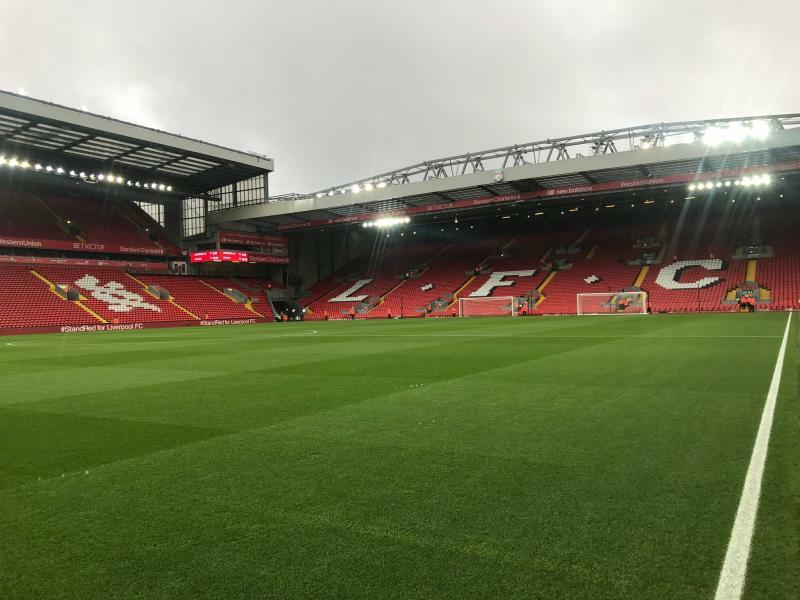 📍Anfield 🙌 Today’s team: Alisson, Alexander-Arnold, Gomez, Van Dijk, Robertson, Fabinho, Wijnaldum, Shaqiri, Mane, Salah, Firmino. Subs: Mignolet, Lovren, Milner, Keita, Henderson, Sturridge, Moreno. 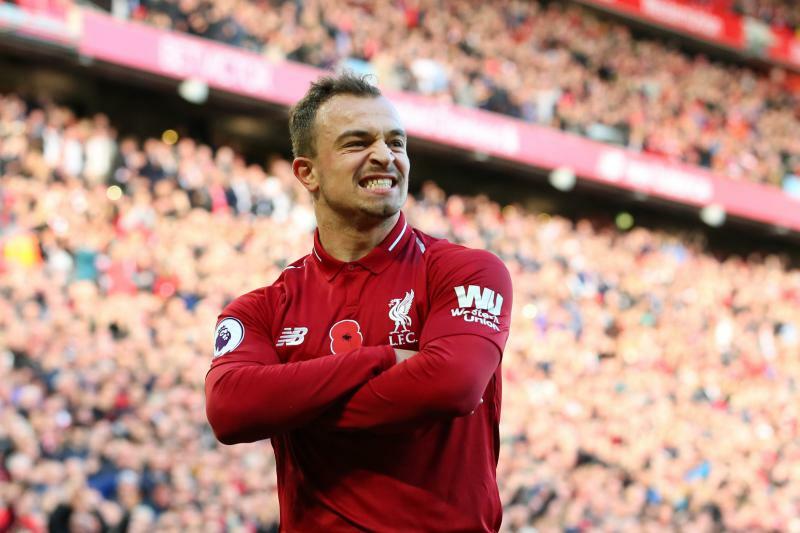 The boss has revealed a little of the thinking behind his team selection today, having been asked whether Shaqiri will be deployed in a midfield three or in a different system further forward. "Both are allowed!" he said. "We have to be creative; you always have to be creative in football. You have to always be patient but in a lively way - play around and play through the lines. That's the same importance. "They have two quick wingers and a very physical and a very quick striker. It's an interesting line-up. We have to react now, we have to learn from the game in the game, then use what we see, use what we're working for and try to get through and score goals." On the inclusion of Jordan Henderson and Naby Keita on the bench, he added: "They are ready, of course, but somebody from the Premier League told me I can only line up 11 and I thought we should accept this rule, so that's why we line up like this." 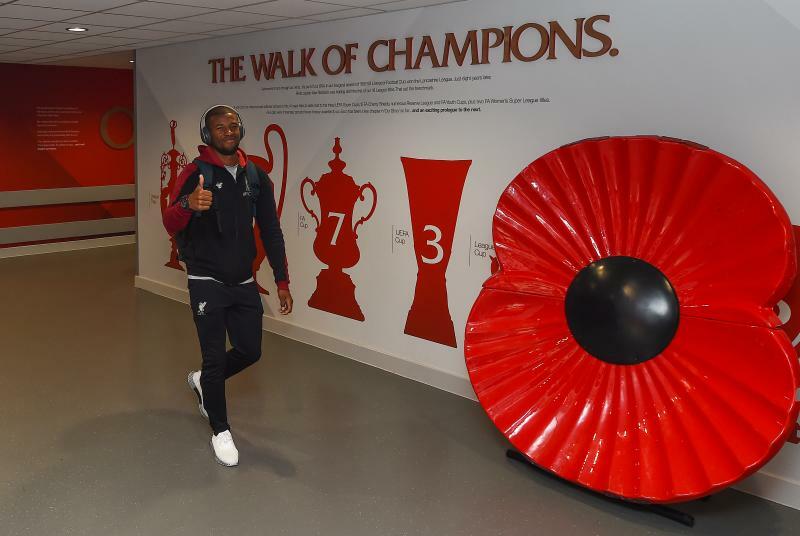 Xherdan Shaqiri returns as Liverpool make four changes for the clash with Fulham at Anfield. 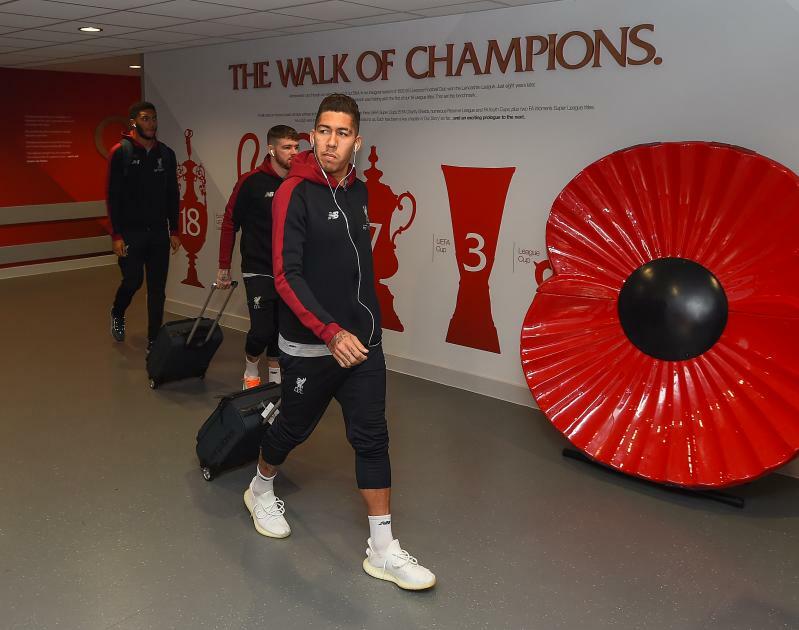 Fabinho, Roberto Firmino and Joe Gomez are also named in the starting line-up. Subs: Mignolet, Lovren, Milner, Keita, Henderson, Sturridge, Moreno. BetVictor is offering the following match prices. More than four years have passed since these two sides last faced each other. An interesting, in-depth interview with Fabinho appears in today's edition of the Sunday Times. 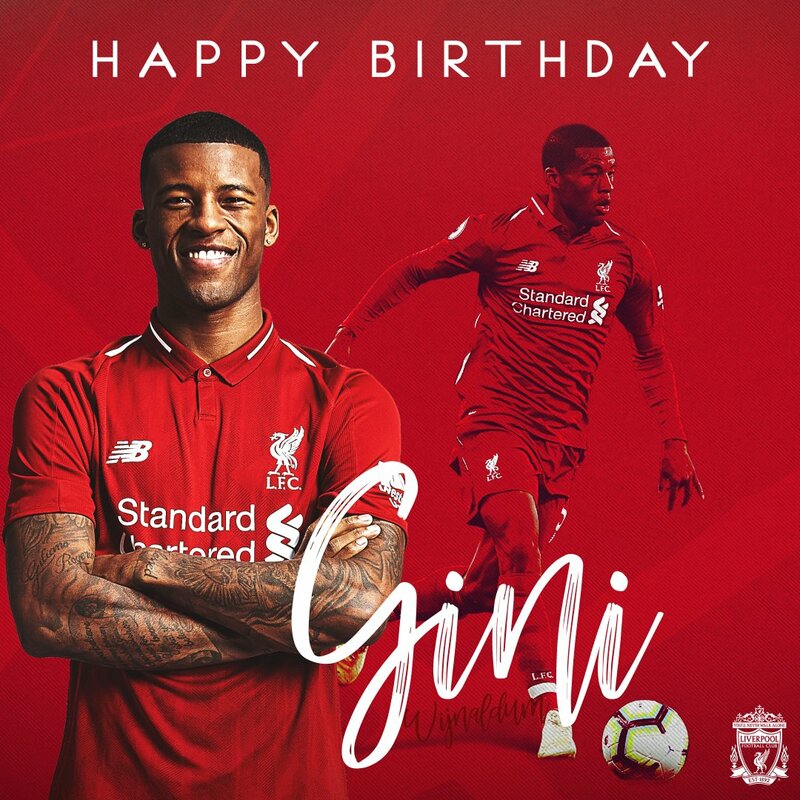 The Reds' No.3 opens up on a range of topics, including his last three starts versus Red Star Belgrade, Cardiff City and Arsenal, and his gratitude to the support shown by Reds' fans during the early stages of his Anfield career. 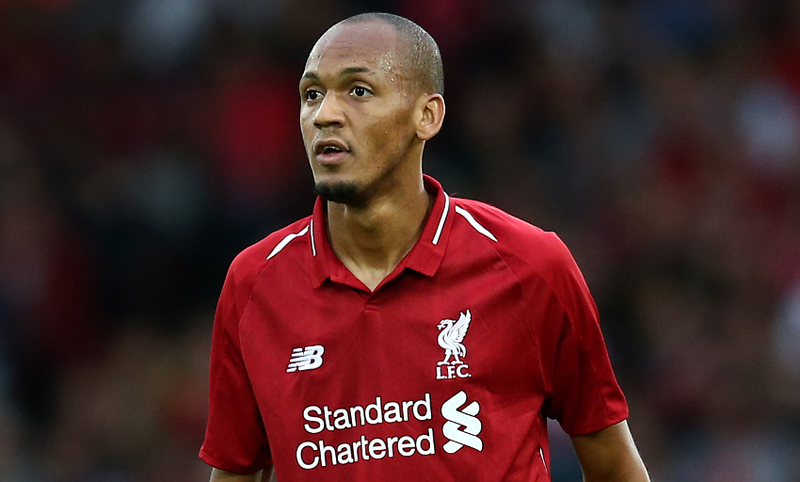 "The three games I started were intense experiences for me,” Fabinho says. “Against Arsenal I was disappointed with the balls I lost in midfield because when you lose possession against a team like that it can prove fatal. When I had the ball I could have been faster. Without it I did well, but I need to lose it less. “One of the reasons Liverpool wanted me is my ability to tackle, win the ball back and put pressure on the opposition. The boss has provided a lengthy and fascinating dispatch on Liverpool's current situation this season in his matchday programme notes. "We are at our best, in football and in life, when we are joyful and spirited, when we are courageous and positive. My team and this club has these qualities in abundance," he writes. "These are a group of players who embody the best values of football when it comes to finding the perfect mix of entertainment but also a winning mentality. We have displayed them already this season and we will continue to." Read more from Klopp here. That's the consensus in the Anfield press room for today's official Liverpoolfc.com matchday blog weather update™. Rain is steadily drizzling down around the stadium so it's an emphatic 'wear a coat' message from us to those attending the match later. 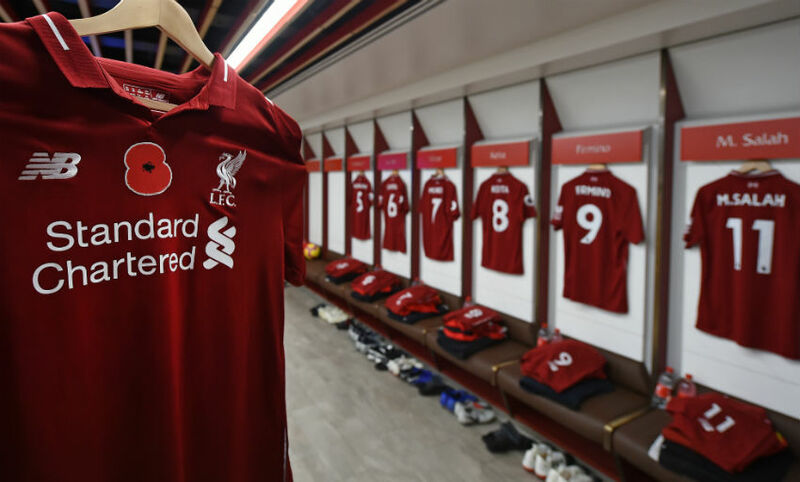 Confirmed teamsheets will be announced shortly after 11am GMT today but we do know already that Liverpool have been boosted ahead of the game. 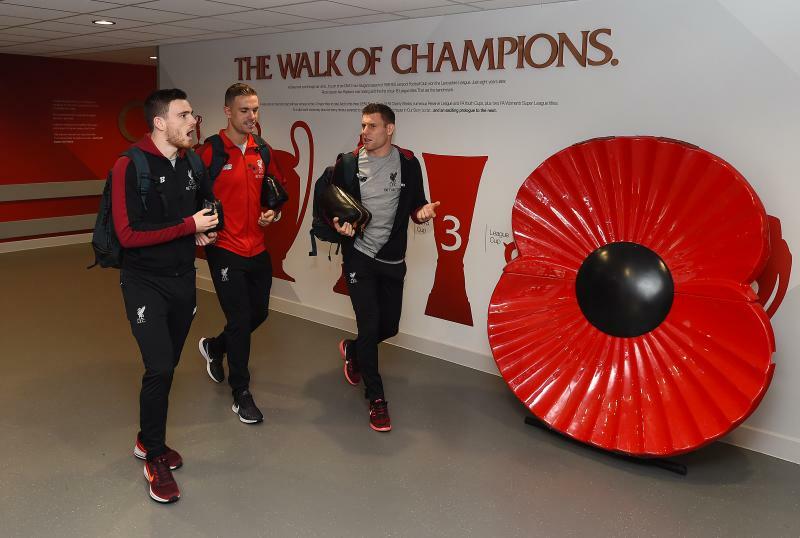 Joe Gomez, Jordan Henderson and Naby Keita are all available to the Reds, while Dejan Lovren is also in contention again after illness. Fulham are likely to be without Joe Bryan and Kevin McDonald due to injury but welcomed back captain Tom Cairney earlier this week. 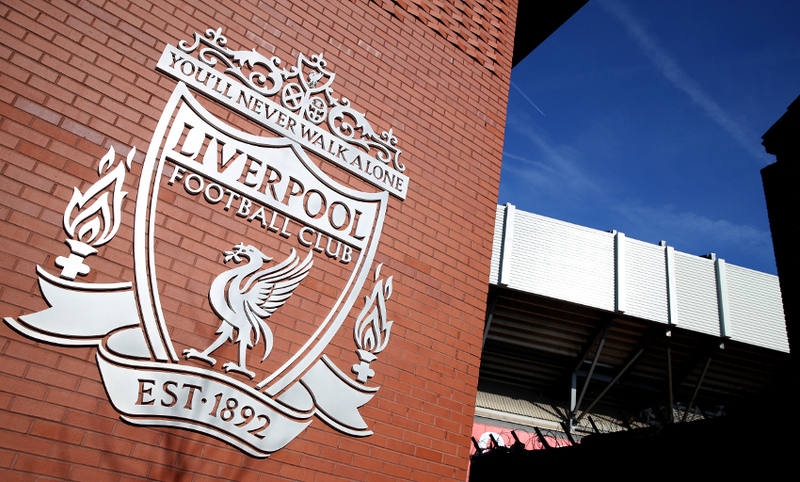 Supporters heading to Anfield for today's game should note that road closures may affect your journey. 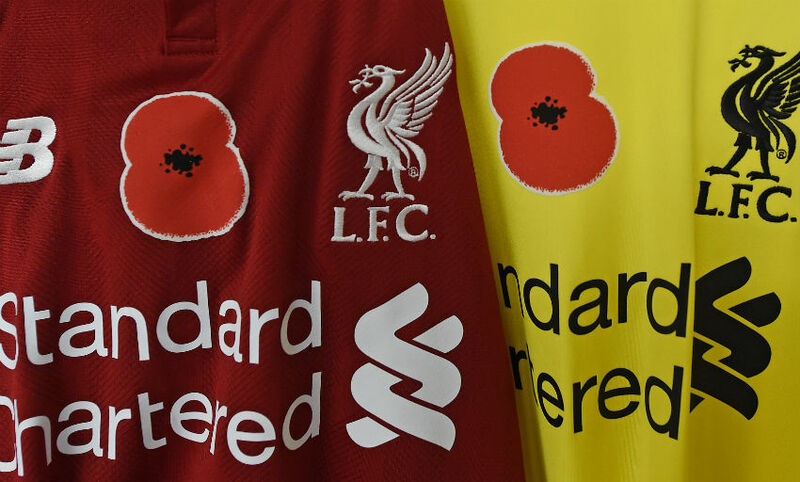 The club intends to pay respects in several ways on Remembrance Sunday. 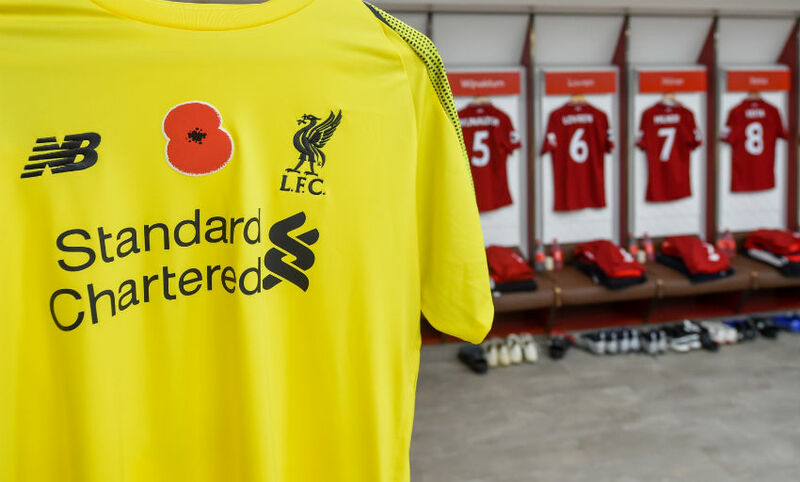 A minute's silence will be held before kick-off and the two-minute silence at 11am GMT will also be honoured by the squad, with stadium operations pausing too, and the flags at Anfield will fly at half-mast throughout the day. 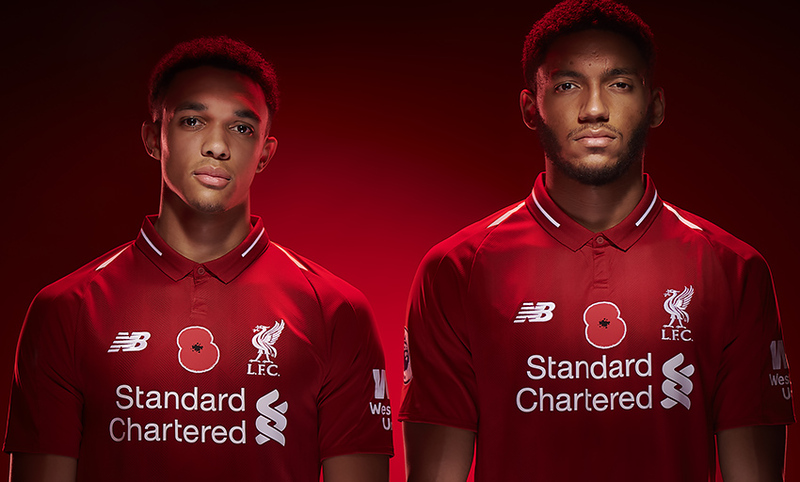 The players, meanwhile, will wear shirts specially embroidered with poppies, which will later be signed and donated to the Royal British Legion to raise money for the Poppy Appeal. 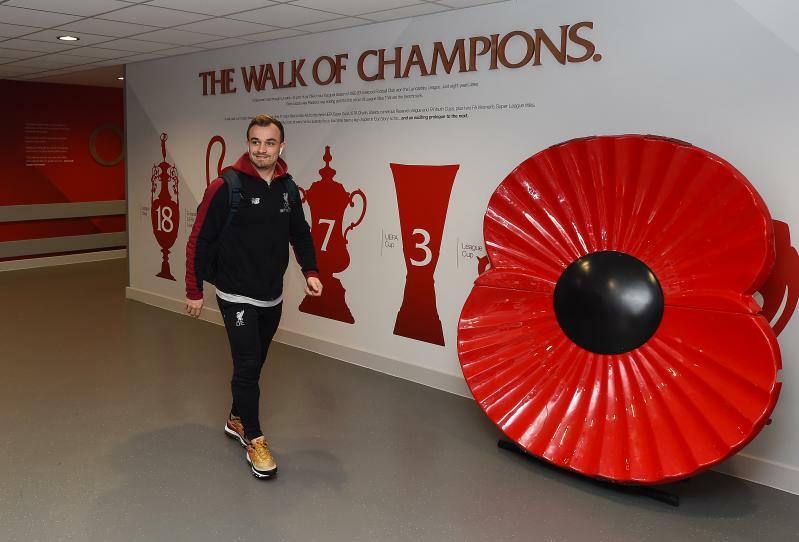 Xherdan Shaqiri will hope to be involved again today and the Switzerland international has explained why Liverpool are not going to get distracted by events elsewhere in the league as they set about trying to be successful. "The process the club had for a few years is going very well. 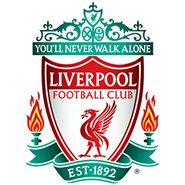 That's the most important thing," he told Liverpoolfc.com. "Everybody sees that and of course in the near future for everybody it's important to try to challenge for titles, that's clear, but at the moment we just have to look to ourselves and to try to stay on the highest level. "We will see what happens, but if we keep going like this it's going to be an interesting year for everybody I think." 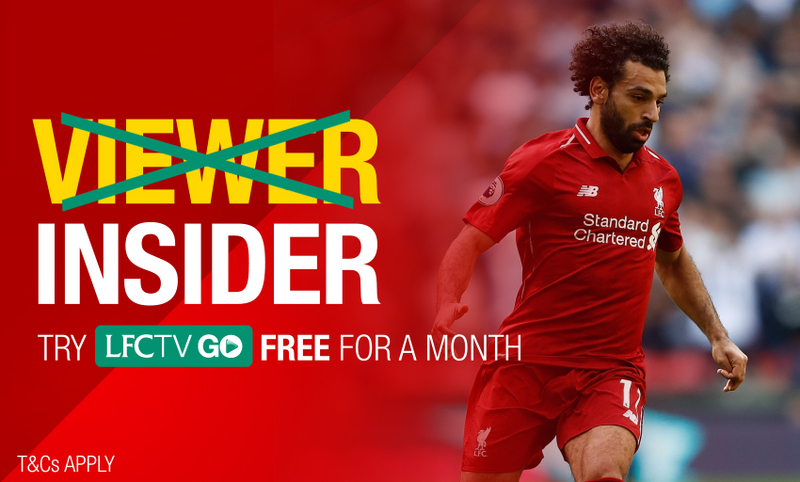 Speaking of LFCTV GO, did you know you can join now and claim a month's access for free? Ensure you don't miss any of the action with exclusive interviews, features, extended highlights, full match replays, live Academy football and much, much more. 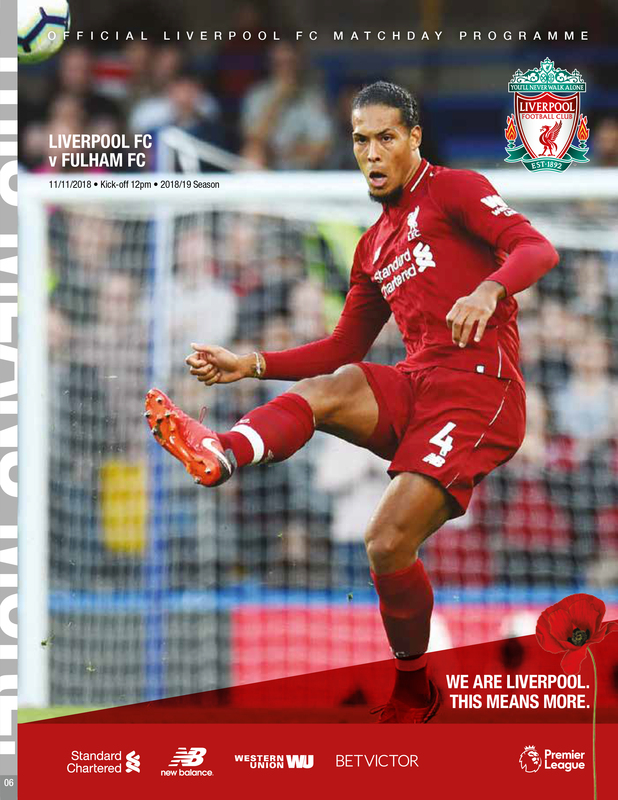 Virgil van Dijk is the man on the front of today's official matchday programme, as seen below. Pick up your copy at Anfield today or subscribe online by clicking here. If you missed Jürgen Klopp's pre-match press conference, do not worry. 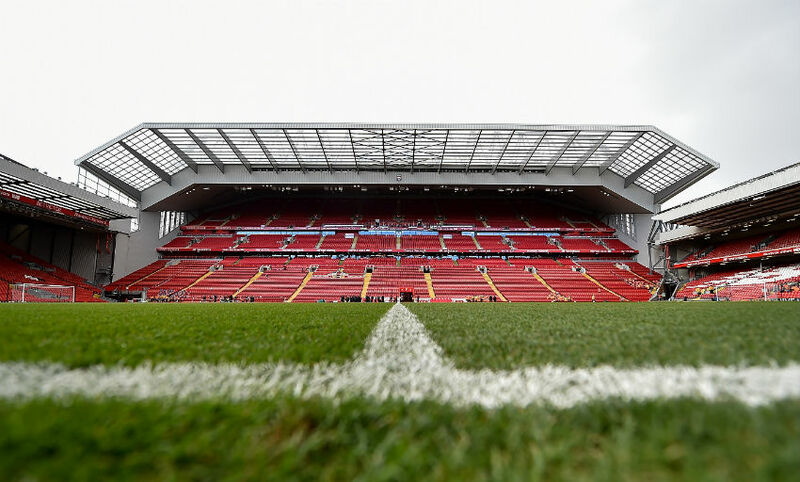 Here we go again, the Reds are back in action with Fulham set to visit Anfield in the Premier League today. 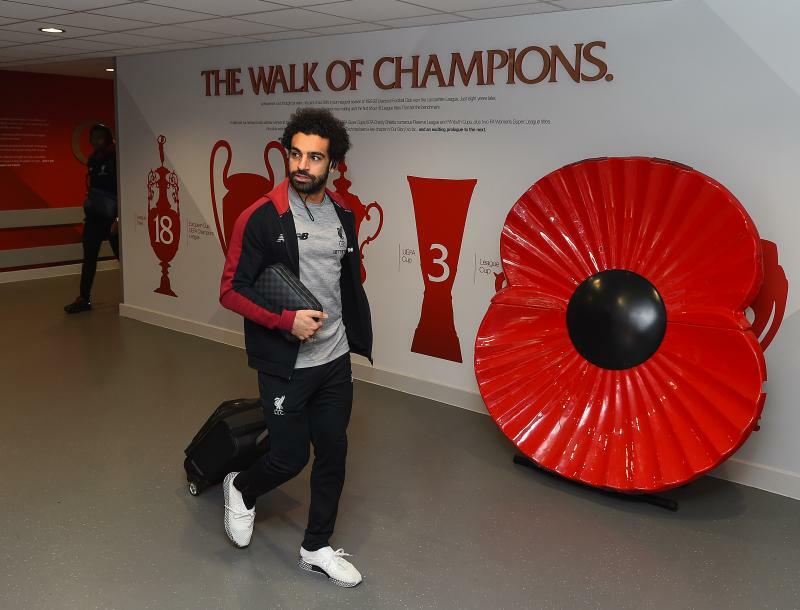 It's a 12pm GMT kick-off and we'll be bringing you all of the build-up, live updates from the stadium and post-match reaction as Liverpool try to extend their unbeaten start to the season.